So I am back from my Hawai’i vacation. What a beautiful set of Islands. We were only on Oahu and Maui, and I will for sure go back. I don’t think I have ever been so relaxed as I was in Lahania on the island of Maui. Several years ago I had a palm reader/fortune teller lady tell me that I need time at the beach to recharge and regroup. She said that I would feel restored after a trip to the ocean. I totally ignored her. I was like, “I don’t do beaches lady.” I don’t like beaches in the summer. I don’t like laying out on them; I get bored after a few hours (really doesn’t take me that long). But what I learned was I need the ocean to recharge. I need the sound of the ocean and I walked lot on the beach and I swam a little (mostly because I could see in the water). In Lahania it was pretty quiet where we stayed, I was so chill and relaxed (check out my blog post about it). After a few days we left for Makawao in the upcountry before flying back to Oahu. It was about 6 days before I had beach time again. By the end of those 6 days, I could feel my anxiety, depression, and snappiness start to take over. I was so frustrated with myself because of it. 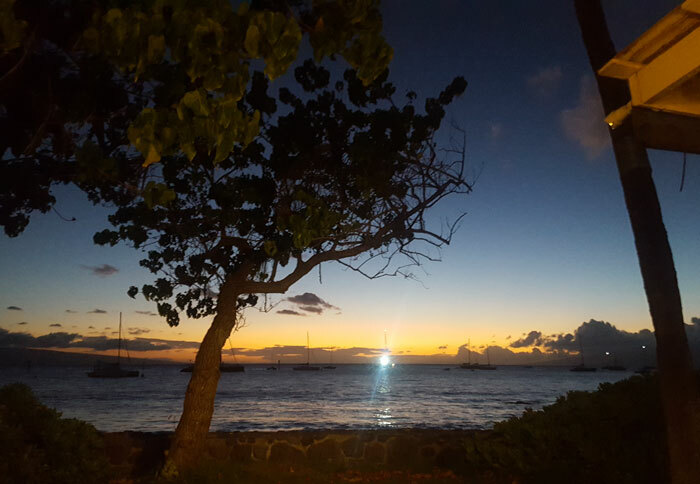 I got back to Waikiki, not my favorite – too loud and super commercial – but I could easily walk for an hour! 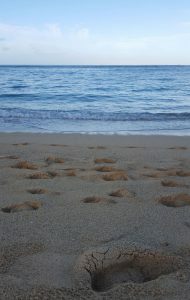 My first morning back on my walking, ocean waves, and swimming routine and I was so chill I almost missed my plane back! I am going to be making a beach trip during nontouristy times a priority, even if it is just for 2 or 3 days. I really feel like my soul needs those waves. I love hiking and the mountains but there was something about the beach that I now feel I really need. Plus I was super productive so I think it will be good for focusing on parts of my business that need more attention. I am hoping for a short beach trip in September and a longer one in January. I want to see if my theory is right. So my question to you is, What do you need to recharge, refocus, and be more productive? Let me know on Facebook! 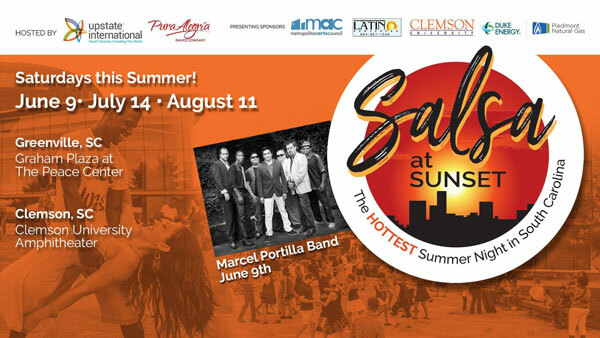 Come out for a free group salsa lesson and a live Latin band. Feel free to bring chairs and sit back and enjoy the fun! The next date this summer is August 11th – see you there! Colorescience is having a Friends and Family Sale from Thursday, August 9th to Monday, August 13th. Save 30% on orders over $100, and orders over $200 get 30% off and a free full-sized Body Shield SPF 50! This is a great time to stock up or try something new. Every Colorescience purchase will qualify for Lasting Beauty Rewards points and get you closer to great discounts off your next purchase. Not an LBR member? Not a problem – we can sign you up for free via text or email (raspberrymoonst@gmail.com or 864.271.2710). Contact us and we’ll send you a link to register your account (you must have an account to get the discount). To kick this event off and expand it, we’re having a Christmas in August Sale Spectacular at Raspberry Moon on Thursday, August 9 from 5:30-7:30 pm. 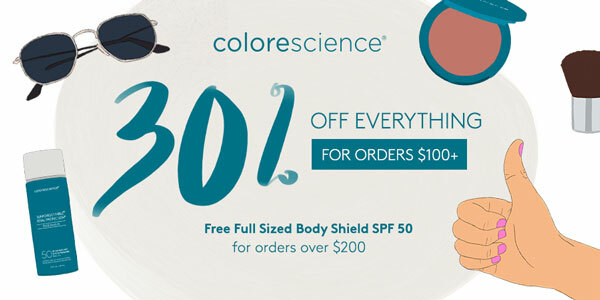 In addition to the great sale on Colorescience, get 20% off ALL non-sale items, including skincare, makeup, bath and body items. For those who come in, there will also be some additional surprise savings on other items! See you August 9th! I am trying to stay on island mode as long as possible. So I thought this month’s facial was only fitting, and I wanted you to experience a little bit of tropical fun. 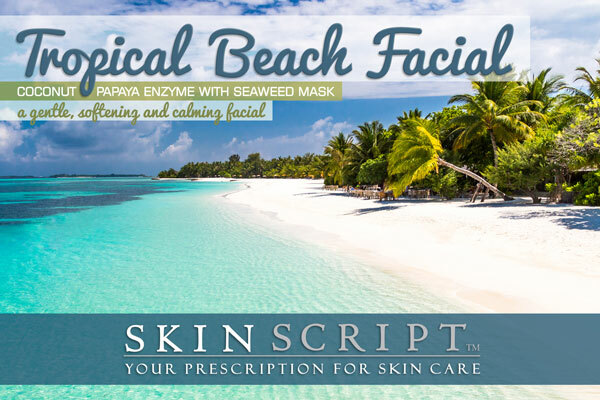 Be transported to a tropical oasis with this exotic facial. Papayas originated in Central America and Southern Mexico but are now grown in many other parts of the world. Coconut and the papain enzyme dissolve dead skin cells revealing healthy soft skin. Papaya is rich in antioxidant nutrients such as carotenes, flavonoids, and vitamin C, as well as vitamin B (folate and pantothenic acid). The small molecular structure of coconut allows for easy absorption through the skin giving it a soft, smooth texture. Follow with the Seaweed Mask for a cooling and purifying effect – your “cool dip in the ocean”. Skin Conditions: Normal to dry and sensitive skin. Coconut/Papaya Enzyme: For sensitive or rosacea skin. Safe for pregnant clients. Coconut and papaya enzymes dissolve dead skin cells revealing healthy soft skin. The small molecular structure of coconut allows for easy absorption through the skin giving it a soft, smooth texture. Ideal for dry, rough and wrinkled skin. Contains only fruit enzymes for a gentle exfoliation for the most sensitive skin. Seaweed Mask: Seaweed is full of lipids, proteins, minerals and vitamins which easily absorb to moisturize and nourish the skin. The benefits include re-balancing, nourishing, hydrating, cell regeneration, detoxifying, purifying, oxygenating, and re-mineralizing. Chamomile is an anti-inflammatory to calm and sooth erythema and sensitive skin.